Are you in need of a Whitstable carpet cleaner to freshen up and revitalise your carpets? If so, you have come to the right place. AAAClean provide an unbeatable, professional carpet cleaning service to customers in Whitstable, Kent, CT5 and the local area. Ensuring your carpets remain the focal point of your home is a difficult task. 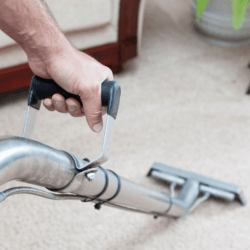 We all lead such busy lives and carpet care, vacuuming and stain removal takes time – especially when you are doing it yourself. You should consider hiring a professional carpet cleaning to restore your carpets to their original beauty. AAAClean can help with your carpet cleaning requirements, whilst you get on with your usual day to day chores. Our skilled carpet cleaning technicians visit your home, make an initial inspection and have a quick chat about any stain removal concerns you may have. Once they have identified any issues we go ahead, pretreat the carpet, agitate and then give the carpets a deep clean with our powerful hot water extraction cleaning machines. We can remove a number of stains from carpets, whether it be coffee, ink, tea, fizzy drink, wine and even grease or tar we’ve got you covered. For a FREE quote, call our office today and let us know about your cleaning requirements. Don’t forget to mention “WEB OFFER” when you call to qualify for a 50% discount all of your carpet cleaning needs.